Samrat Sharbati wheat Flour is the best available wheat across the globe! 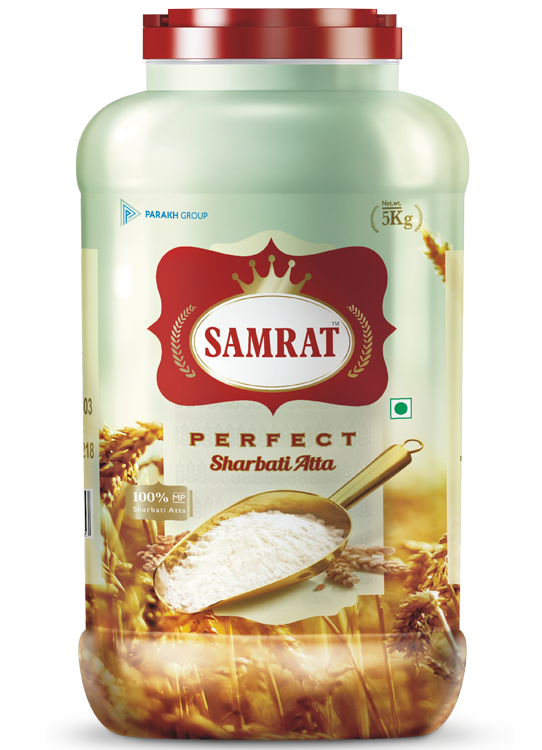 Sharbati is the most nutritious, healthy & enriched with vitamin, protein, carbohydrates and all essential nutrients. We possess an own state of the art plant, backed by Swiss technology, which processes the finest quality of Sharbati atta. The processing of atta manufacturing is completely mechanized and totally free from human touch which ensures hygiene level at its best.